At Scranton Mixed Martial Arts we love helping people learn about self defense and today I would like to talk about the importance of strength and conditioning for Self Defense. Obviously I have to state that if you are interested in learning how to defend yourself in a self defense situation nothing and I mean nothing will replace good Self Defense Lessons, a solid plan and LOTS of practice. You have to prioritize that above all else. Find a good program with good instructors and practice, practice, practice. Once you are on the road to learning the write techniques and practicing them in a fun, safe and effective manner you should start to look at other ways besides training that will make you more effective in a self defense situation. One of those ways is to start a great strength and conditioning program. If you had a choice you would always prefer to be stronger than anyone attacking you. If you had a choice you would always prefer that your attacker gets tired or gases out before you do in an altercation. You do have a choice. Getting strong and getting in great shape so you do not get tired in a self defense situation is something anyone can do. It does not need to take up a lot of time and it does not need to be expensive. It can be free if you are properly motivated. There are a ways or programs that you can look into that have great track records for getting people in really good shape. As always do your own research and check with your doctor before starting any strength and conditioning program. These are just some of the options. The truth is that there are hundreds and hundreds of ways that you can improve your strength and conditioning for Self Defense situations or mixed martial arts. We just wanted to let you know that we do feel it is important and give you some ideas and options. 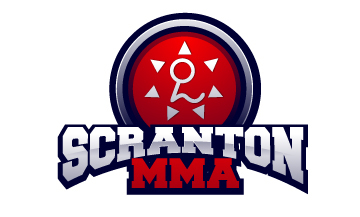 As always feel free to talk to one of your instructors at Scranton MMA and we can help you with some ideas or point you in the right direction.